We have a soft spot for William Grant & Sons here at TimeforWhisky - not only for the great range of whiskies they put out, nor because of the fantastic events they run, but because of the truly awesome people who make up the brand. 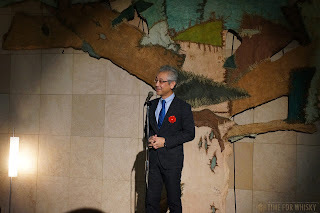 So it goes without saying that when an invite arrived for the launch of the 23 year old in Sydney, at a time I was actually going to be in Sydney, I was going to be there without hesitation. The fact that it would be the first whisky event that both Hendy and I would cover jointly just made it even better. 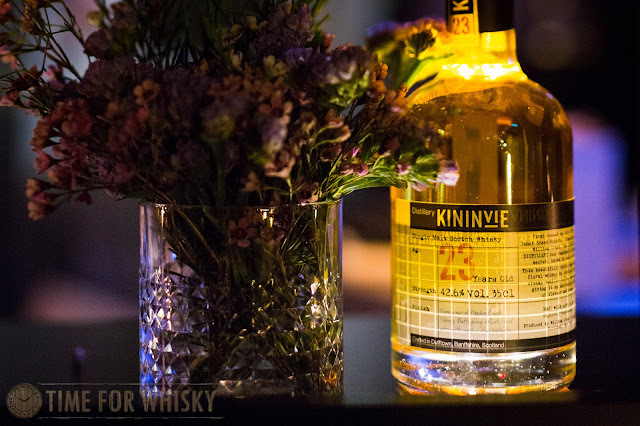 Kininvie has been a distillery of personal interest to me for years. 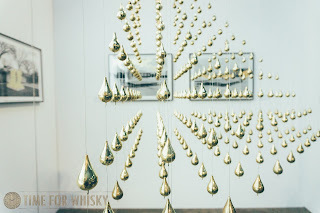 Back in 2009 when I was starting my whisky adventures, dad and I toured Glenfiddich, and learnt about Kininvie, which began distilling in 1990 and, at the time of our tour, was only available as a single malt to a select few (distillery workers, or those who paid a pretty penny for a bottle on the secondhand market). 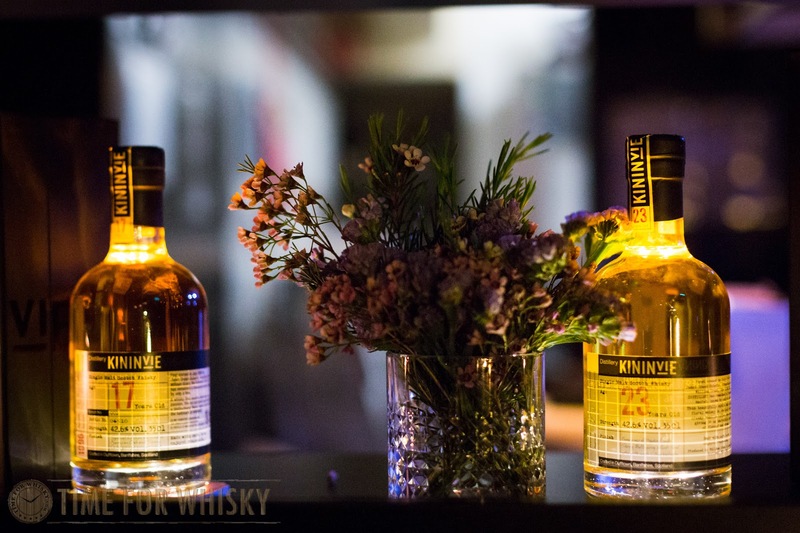 When I started my #101drams charitable challenge, a Kininvie had to feature. 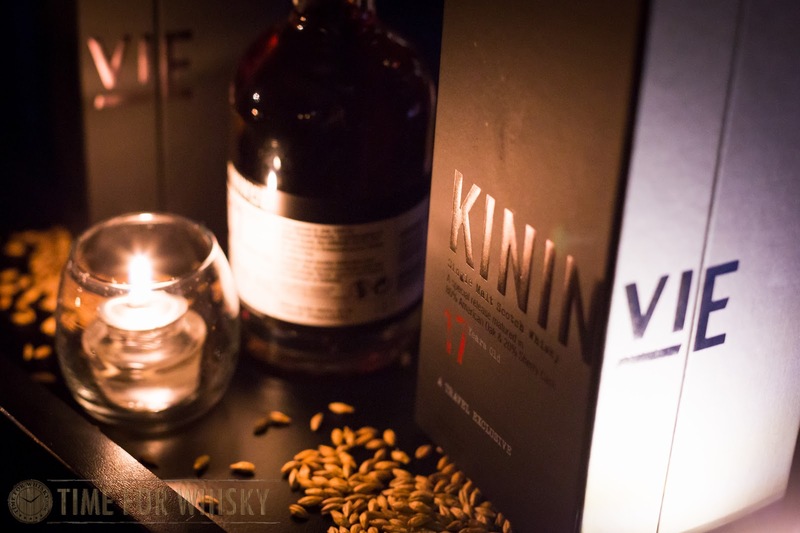 Fast forward a few years to 2013, and Kininvie was released as a commercial (albeit still reclusive) single malt. Available as a 17 year old in the travel retail market, and a 23yo (in very limited quantities) in Taiwan, word quietly spread that Glenfiddich and Balvenie had a sibling, which neatly nestled in between the two both physically and in terms of flavour profile. 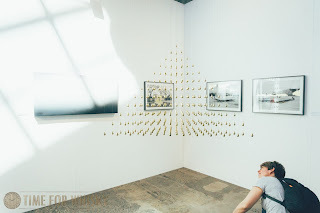 The theme of "reclusiveness" was to feature heavily throughout the night, starting with the choice of venue - Magazin. The brainchild of the team behind Grasshopper (Sydney's first Small Bar), the underground private members' bar, located on Darlinghurst's William St, is known (or rather not known) as one of Sydney's most reclusive and exclusive bars. Just don't call it a speakeasy (truly, think classy, futuristic underground cocktail den with a smart layout and quality, modern finishings). Upon entering the bar, we were handed a delicious Old Fashioned (made with Monkey Shoulder and chocolate bitters), and were warmly greeted by Laura and Mark of William Grant & Sons, who were hosting the night. 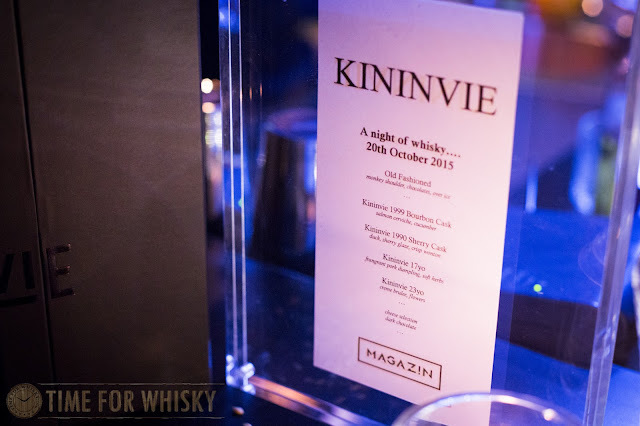 A brief glance at the menu revealed a few goodies in store - including two single cask Kininvies. After greetings and our fantastically-chocolatey cocktails, it was time for Laura to introduce the crowd to Kininvie, which William Grant & Sons designed to give grassy and floral notes, to provide a malt whose profile nestled neatly between the fruitier Glenfiddich, and the richer, more honied Balvenie. Laura also explained that Kinivie (whose stillhouse is also physically nestled in between Glenfiddich and Balvenie) means "end of the field", and was a personal favourite of Janet Sheed Roberts, granddaughter of William Grant, and who lived to the ripe old age of 110. The Kininvie stillhouse - taken during Steph's and my visit to Balvenie in July this year. Nose: Light and floral, with a slight earthiness. Palate: Citrusy-zing initially, with some contrasting meaty BBQ notes. Sweet. A drop of water toned down the sweetness and amped up the earthy notes. Rating (on my very non-scientific scale): 92/100. It's pretty special to be able to try a Kininvie, let alone a single cask Kininvie. Off to a good start! 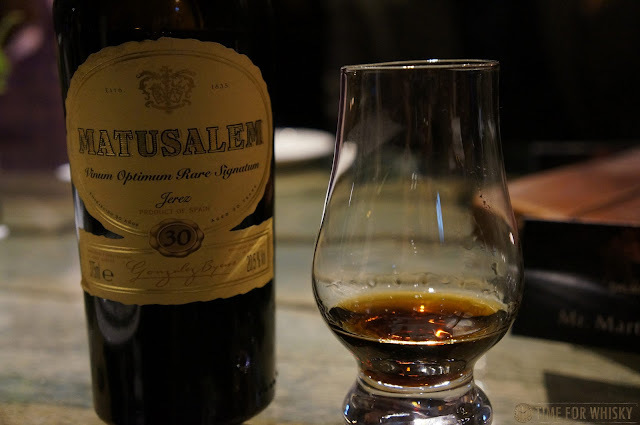 Nose: A lovely sherry bomb. Rich red berries and Christmas cake, with some hints of furniture polish and the same earthiness from the 1999. Palate: Citrusy still, but more oranges and tangerines this time. 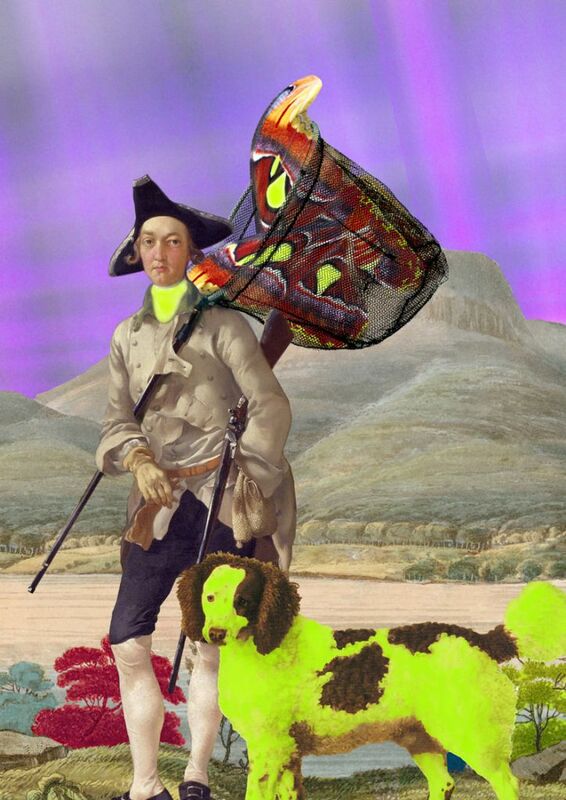 Still very earthy. Cherries and some cocoa. Coffee and more Christmas cake. Finish: Medium to long with Brazil nuts and cocoa. Rating (on my very non-scientific scale): 93/100. Interestingly, this reminded me a LOT of a very heavily sherried cask-strength 11yo Yamazaki single cask I tried recently. After a short break and a dram of the 17yo Kininvie, it was time to try the whisky we were all at Magazin to celebrate - the Kininvie 23 year old Batch #003. Nose: Sweet toffee apples and some vanilla. This has definitely had a fair bit of American Oak maturation. Palate: Smooth. Sweet toffee apples dipped in rich caramel. A hint of oak. Finish: Short to medium, with notes of toffee apples to the end. Rating (on my very non-scientific scale): 92/100. 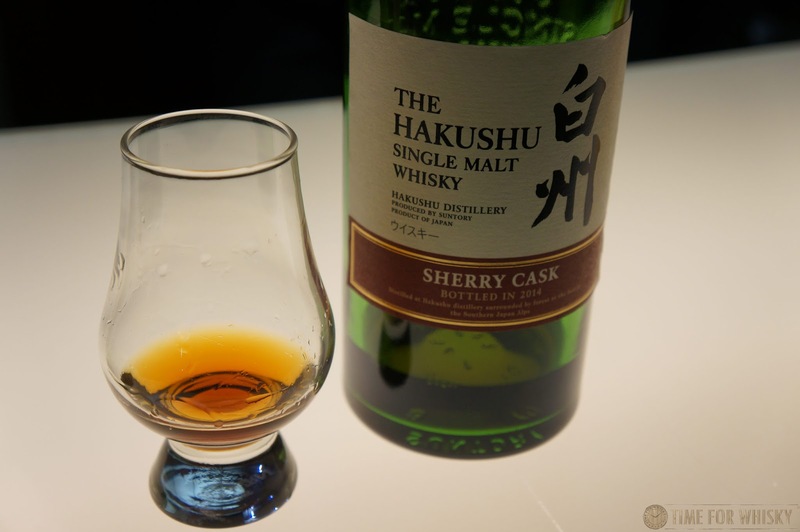 A lovely dessert whisky. So how did the Batch #001, tasted 12 months ago to the day, compare? Kininvie 23 Batch #001 1990 (42.6% ABV, 23yo, Cask #4107, Speyside, Scotland, no longer available) - tasted in October 2014. Nose: Slightly more Glenfiddich than Balvenie, with citrus, pears, orange peels, boiled lollies, and after time, stronger apples and pears. Palate: Orange marmalade on burnt toast. Spicy (paprika). Nutty. Finish: Long, drying and tannic. Spice, pepper and tabasco. With the tasting officially over, it was time to catch up with the many Sydney whisky folk I used to see regularly, but now hadn't seen in over a year. 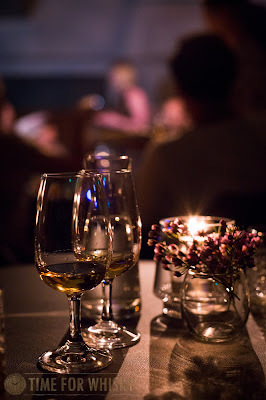 A really great night spent enjoying a rare and little-known whisky in the perfect setting. Kininvie 23 Batch #003 is available in Australia at specialist bottle shops, priced at $210AUD (350mL bottle). If you miss out on getting a bottle in Australia, we notice Master of Malt still have both Batch #002 and #003 releases available (the latter by the dram too), as well as the older Hazelwood 105. 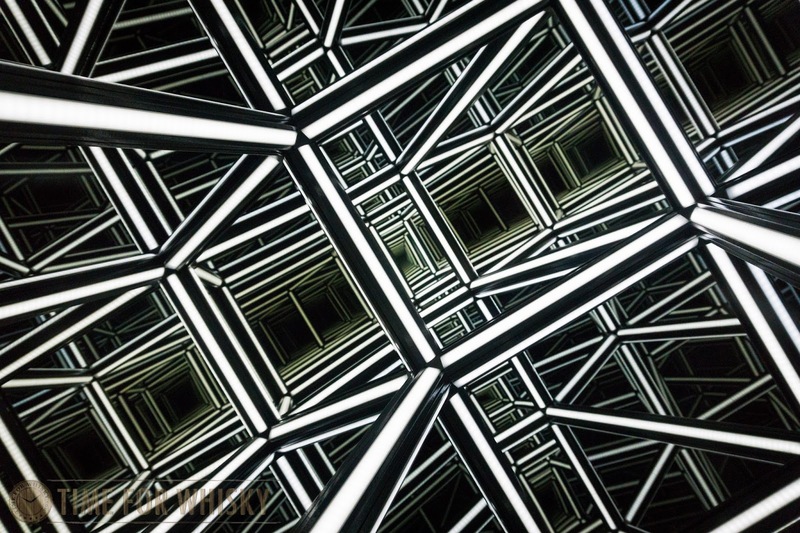 Martin (words) & Hendy (photos). Toured distilleries in Scotland, Australia, India, Ireland, Japan and Taiwan. 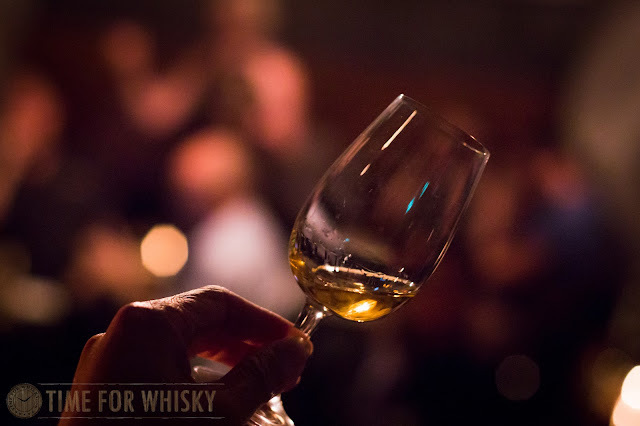 Most importantly though, we've made some incredible friends across the world and shared some amazing drams, and, hopefully, brought you some enjoyable, light-hearted posts along the way. So, a huge thanks to you all for reading this site, posting comments, engaging with us on Twitter, Facebook and Instagram and giving us the motivation to keep going over the past 3 years, and no doubt for many more to come! "Only 100 cases will be available in Australia from 28th October 2015, with the deep mahogany whisky, reminiscent of Christmas fruitcake, coming just in time for the festivities. Retailing at AU$1500 a bottle, the 32 Year Old is for whisky lovers who want to savour a once in a lifetime moment. The rare bottle of Laphroaig has acquired a rounded character and exceptional smoothness after lying in the finest ex-Oloroso casks for 32 long years. The celebrations continue, with the November release of the annual Cairdeas. Each year Master Distiller, John Campbell, handcrafts a limited edition malt to celebrate friendship (“Cairdeas“ in Gaelic). At 51.5% ALC., the Cairdeas is produced from Laphroaig’s finest floor malting’s malt, distilled using only the smaller stills and fully matured in the famous No 1 warehouse, right by the sea. Cairdeas 2015 is John Campbell’s interpretation of how Laphroaig would have been produced at the distillery 200 years ago. Available from 28th October in selected Dan Murphy’s and independent retailers." Given the limited nature of this release, and the fact that it has already sold out at Master of Malt in the UK, it's fair to say this one probably won't last long. 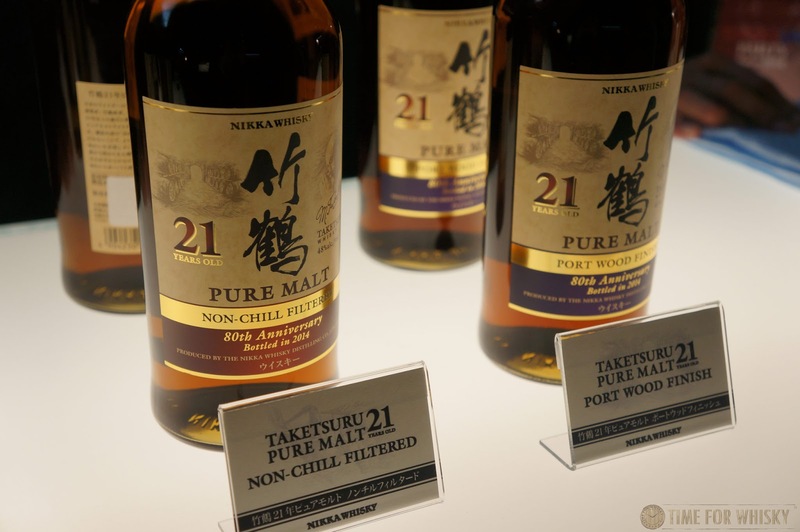 "The Japanese are known for their love of beauty, and Suntory Whisky is no different. 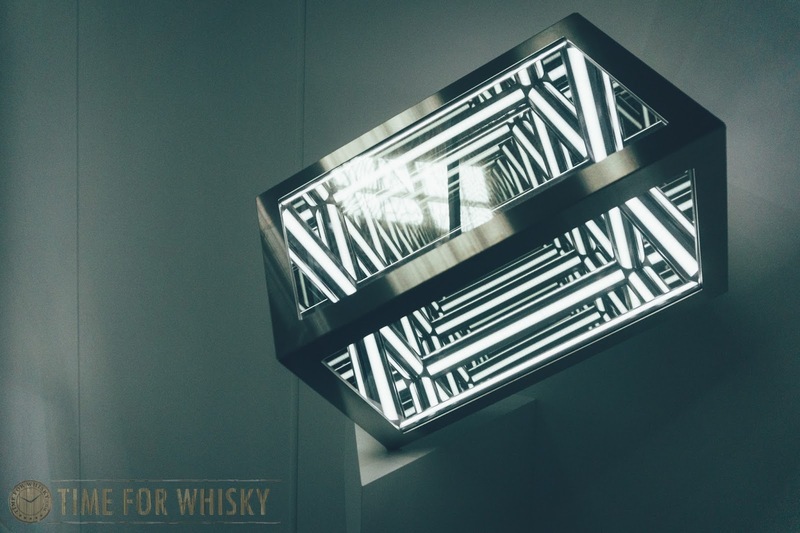 Suntory Whisky embodies the Art of Japanese Whisky, going so far as to create laser cut ice sculptures for their whisky. In celebration of art, and the Sculptures by the Sea Exhibition, Suntory Whisky are teaming up with Neighbourhood Bondi to offer art and whisky enthusiasts an opportunity to learn to hand carve their very own whisky ice sphere. Running on Thursday evenings at 6.30pm and 7.30pm during the exhibition, guests will learn the art of ice carving with Suntory Whisky Ambassadors, before enjoying Suntory Whisky Japanese Harmony over their creation along with canapés and Kakubin Highballs. 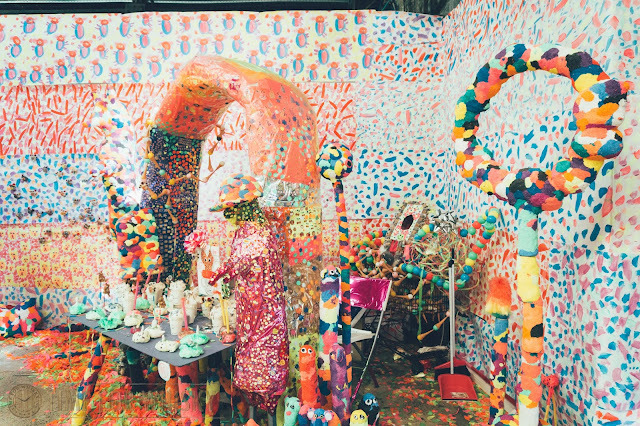 Dates: Thursdays 22nd & 27th October and 5th November. $25 ticket includes hands on lesson in ice carving, Japanese Harmony nip, canapés and a Suntory Kakubin Highball. Tickets strictly limited. Book through bookings@neighbourhoodbondi.com.au"
A few years ago we attended the first Glenfiddich Pioneer's cocktail competition. 2015's winner has just been announced, and as in previous years, a cocktail recipe book will follow. 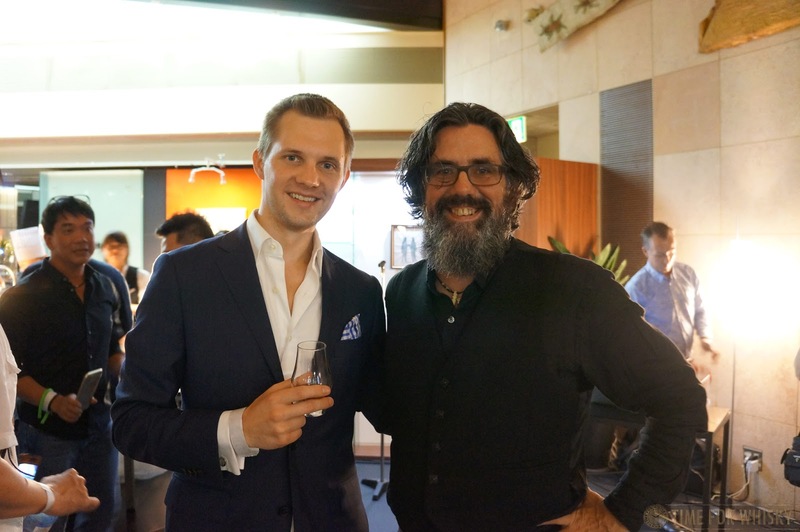 "Glenfiddich is proud to announce Luke Sanderson from the Black Pearl in Melbourne with his mentor Orlando Marzo from Dinner by Heston Blumenthal as the winners of the 2015 Glenfiddich Future Pioneers Competition. 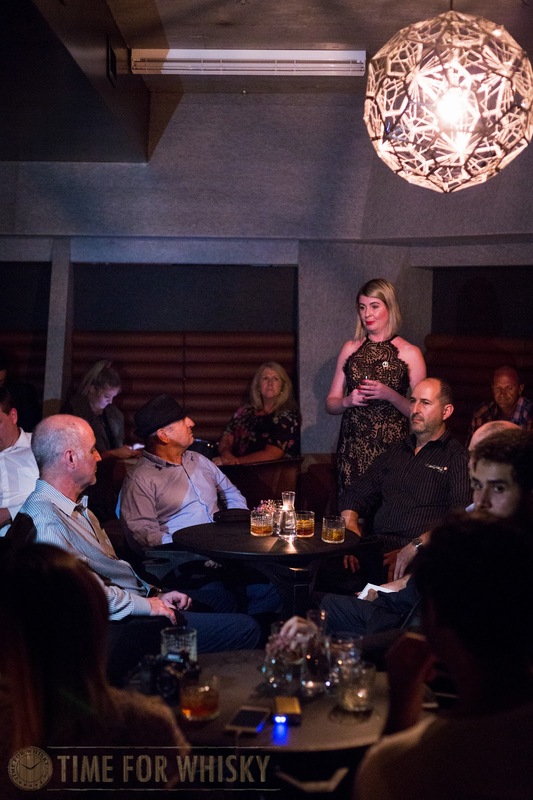 The National final took place on Monday October 12, where the five finalists were bought to Sydney and caught seaplanes to one of the city’s hidden gems – Peat’s Bite on the Hawkesbury River to battle it out for the coveted prize. 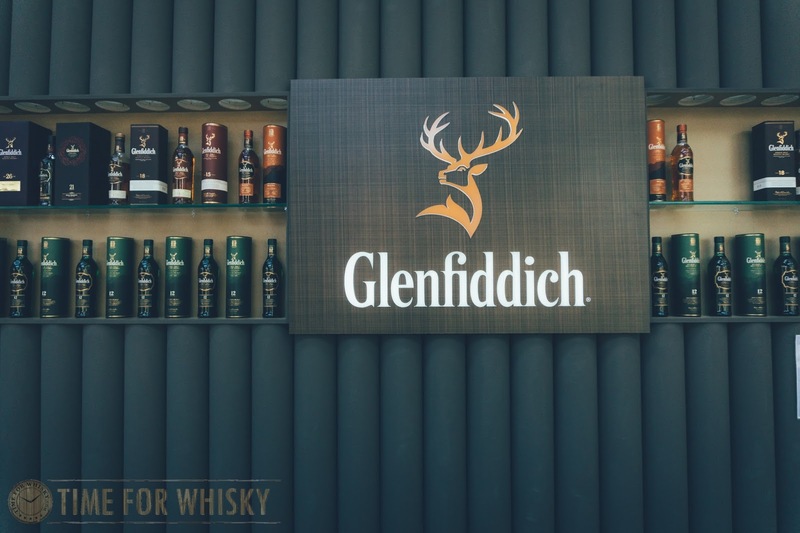 Launched in 2013, the Glenfiddich Future Pioneers Cocktail Competition is a nationwide search for the best of Australia’s up and coming bartenders who hadn’t previously placed in a national competition. 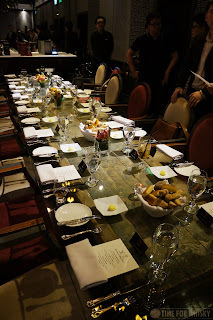 Each team was charged with creating cocktails for the judging panel made up of their fellow competitors, they were then flown back to Sydney where the winners were announced at a private dinner at Sydney’s iconic Quay restaurant. As Glenfiddich is a family owned and run business, in the state finals mixologists from around the country were asked to create a Glenfiddich cocktail inspired by a family member. The cocktails had to be one that is an easy to prepare using Glenfiddich 12 Year Old cocktail using no more than four commonly found ingredients, and was prepared for a panel of mentors which included some of Australia’s most respected bar tending talent. Luke Sanderson and Orlando Marzo’s prize includes a trip to the Glenfiddich distillery in Scotland. Hugh Taylor and Martin Lange who finished in second place, will join the Glenfiddich team on a pioneering airboat in Kakadu in early 2016. All [finalist] cocktails will be put into a recipe book that will be released into the off trade during the New Year." 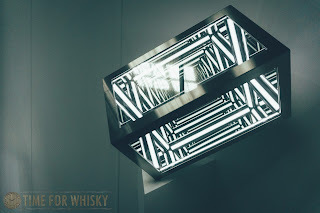 It was only a few months ago that the stars aligned and I ended up in London (on a short work trip) at the same time as Whisky Live London 2015. Fast forward to September, and I again found myself on a work trip that also conveniently coincided with another Whisky Live - Tokyo, this time. 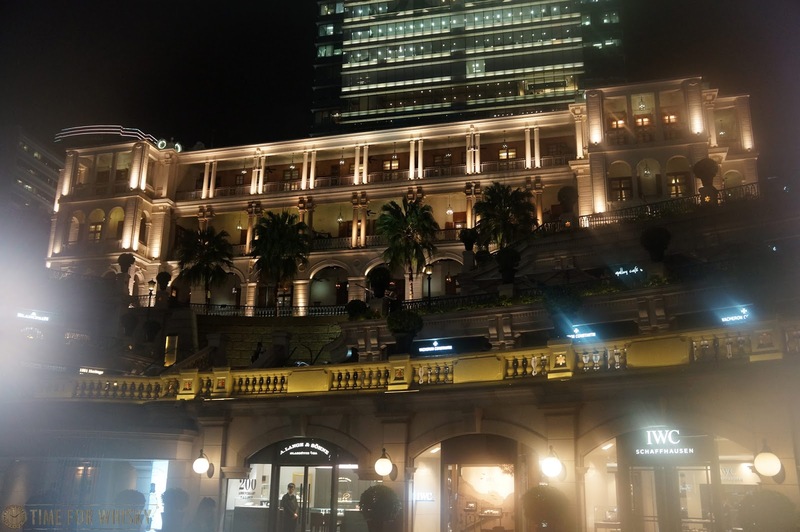 Being a convenient 30 second walk from my hotel, I made my way over to the Park Hotel just before the show was due to begin, and did a lap to see what was on offer. 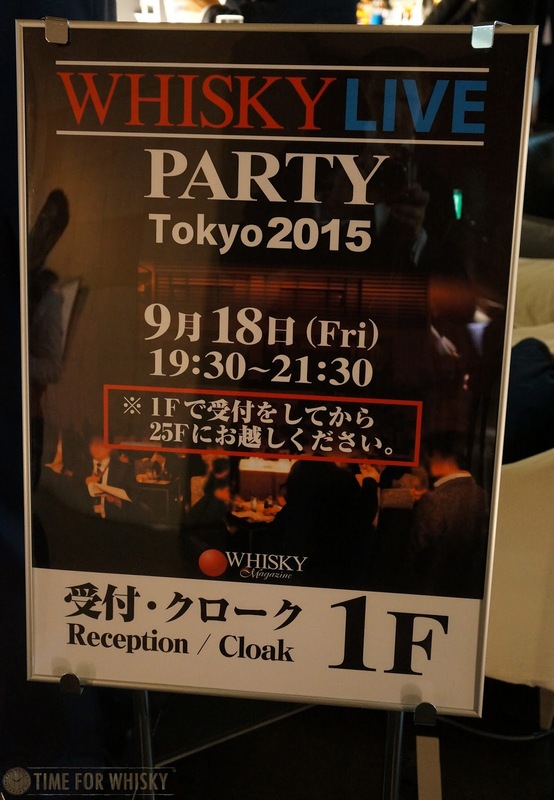 The best way to describe the party would be like a smaller, more intimate whisky show. 200 people and 70 different whiskies, in a quieter, more refined setting. A few other gems I spotted before the official opening were a 42yo WM Cadenhead indepedent bottling from The Glenlivet, a fair selection of SMWS bottles, the 2014 Yamazaki Mizunara, and plenty more. Soon enough it was time to start sampling. Unsurprisingly about 8 minutes into the party, the Colour Joker (costing 7 of our 20 tokens) was empty. I'd tried it a few months earlier, but couldn't resist another dram so made sure I got in early. With big creamy orange notes on the nose and toasted oak, leather and red berry compote on the palate, it was as enjoyable as I'd remembered. 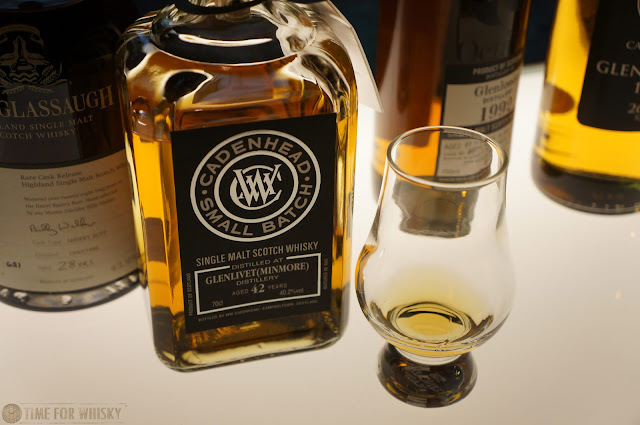 Next up was the 42yo The Glenlivet from WM Cadenhead, who were well represented at both the party and the show the next day. At 40.2% ABV, it's fair to say this one may not have seen it's 43rd birthday had it stayed in the barrel, but 42yo is still a mighty impressive feat nonetheless. With ripe peaches on the nose and an oaky, thin and smooth body, it was an enjoyable dram but nothing overly special - somewhat typical of the majority of well-aged (40yo +) independent bottlings we've come across. By this point I'd run out of my 20 tokens, so quickly purchased another 10 (2000yen - approx $22AUD / $130HKD) which led me to the 2014 Sherry Cask release from Hakushu. I did find the number of tokens a little stingy (especially when considering the event didn't include a take-home glass, OR any included food), but I guess there were some pretty special drams on offer, and they had to ration them somehow. Steph and I tried the Yamazaki 2014 Sherry Cask back in December last year (at the bargain price of about $3AUD / $17HKD for a dram - thanks Japan!) 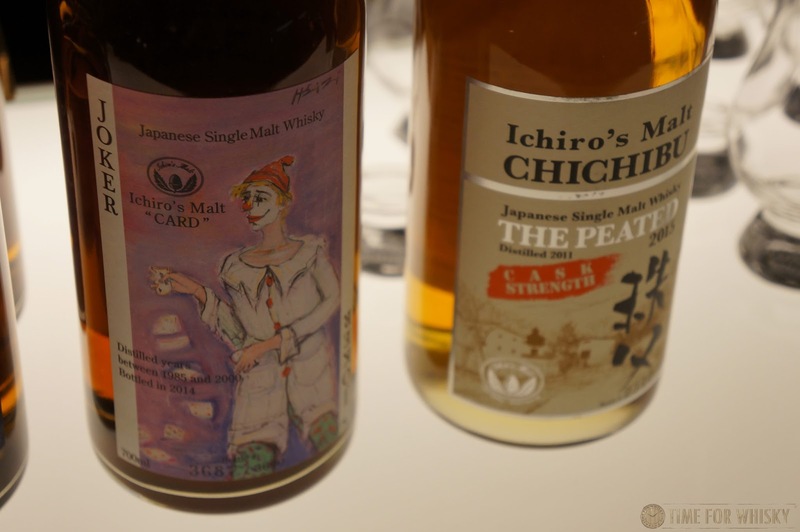 so I was keen to see how the earthier Hakushu spirit fared in similar maturation. Turns out - very well. Truly an excellent sherry bomb, with plenty of rich fruity Christmas cake notes whilst retaining that trademark earthy characteristic. 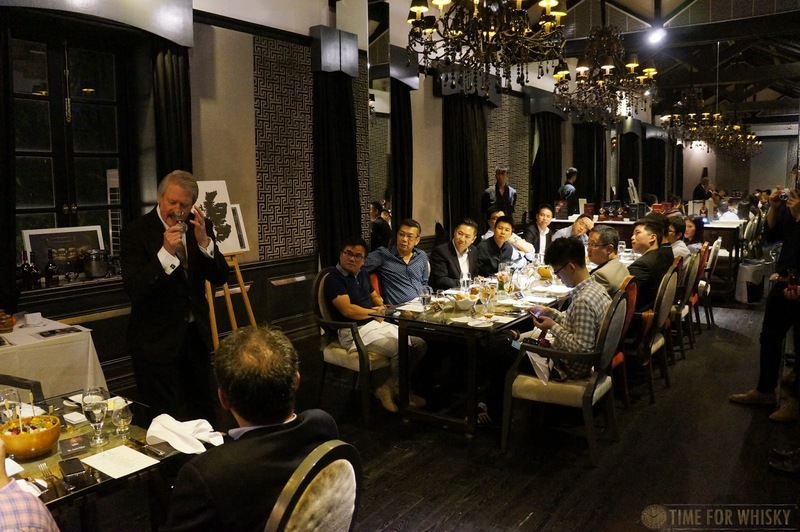 After a few more drams, and a chat with the legends from Melbourne's Whisky + Alement who were also in town, it was time to hear from our host for the night - whisky legend Dave Broom. Dave (donning a kilt, of course) gave a brief overview of what he's been up to, having not been to Japan in 2 years, then introduced the guests for the night - Akuto-san (Chichibu master distiller and industry legend), Fukuya-san (Suntory Chief Blender and the man responsible for Hibiki), Sakuma-san (Nikka chief blender), and Tanaka-san of Fuji Gotemba / Kirin. 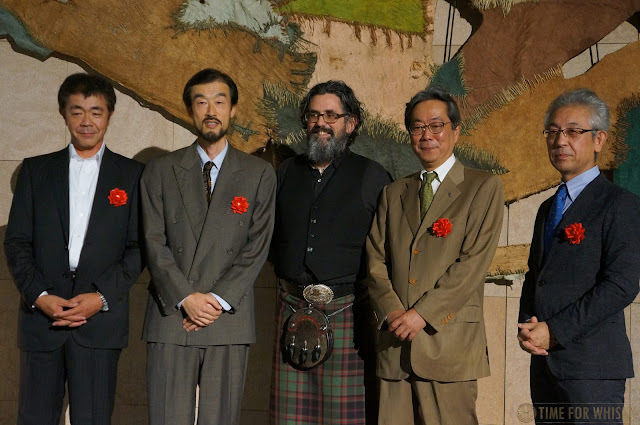 Each briefly discussed the event, the Japanese whisky scene and their own whiskies, and engaged in a brief Q&A with Dave. When finished, we realised time was quickly running out to use our left over tokens (this was a 2 hour party after all, not an all-day show). 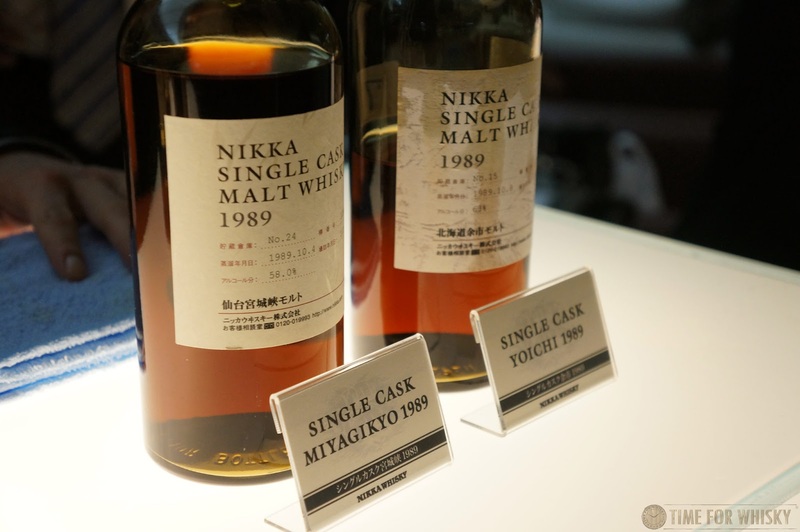 With remaining tokens in hands, it was off to the Nikka table to try a limited 21yo Port Wood Taketsuru blend released for the 80th Anniversary in 2014. With a sweet madeira nose (with hints of sweet pastries and icing), a big smoky palate with caramel and strawberry notes, and a long smoky finish with lingering demerara sugar hints, this was a surprising and enjoyable blend. 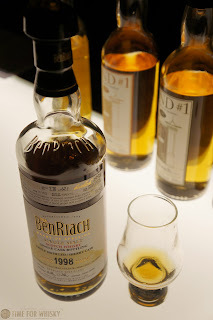 Time was almost up, but I managed to sneak a few final drams including a unique (to me) triple-distilled BenRiach 16yo sherry cask from 1989 (with lots of walnuts and glacé cherries on the nose, and a lemon peel zestiness with tapioca on the palate) and two single cask Nikkas (one a Miyagikyo, one a Yoichi) - both also from 1989. When all was said and done, it was a great night and a nice change from the regular format of whisky shows. Even though some aspects could be improved (food could have been provided, a souvenir glass would have been nice, as would a few more tokens) considering the quality and rarity of the drams on offer, and the ticket price (5000yen - $56AUD / $320HKD) I'd still say the show was good value, and would happily return. 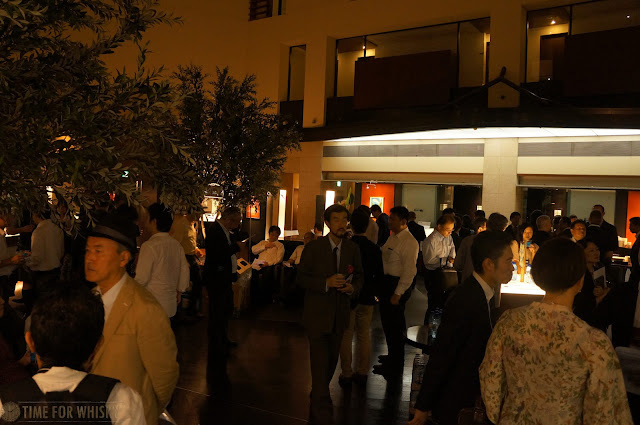 Keep an eye out for Part 2 which will cover Modern Malt Whisky Market Tokyo 2015 - the larger show on the following day. 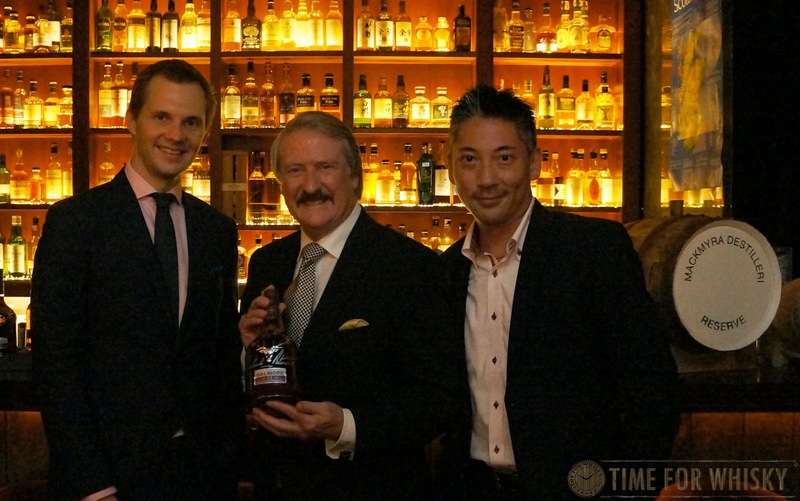 We've had the pleasure of meeting some absolute whisky legends over the past few months, and last night that trend continued with perhaps one of the most well-known figures of all - Richard Paterson of Whyte & Mackay, The Dalmore and Jura - aka "The Nose". 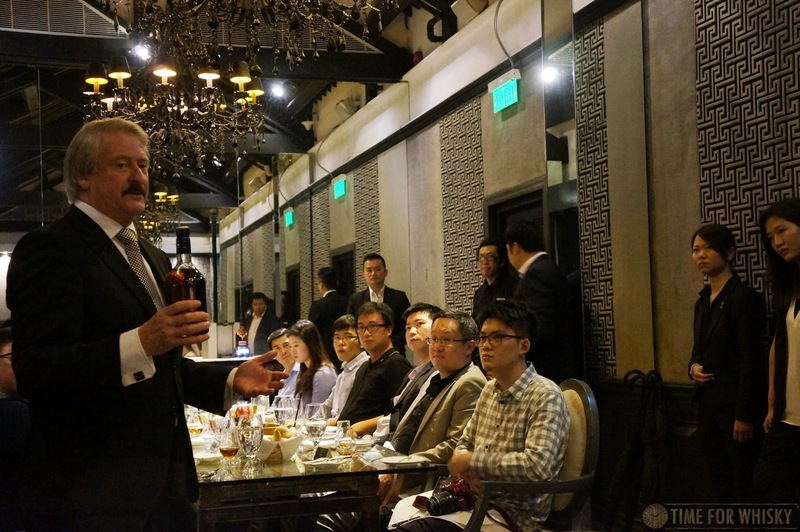 Richard, who recently celebrated 45 years with Whyte & Mackay (and an incredible 49.5 years in the industry) was in Hong Kong to promote The Dalmore, and in conjunction with Telford Hong Kong (responsible for The Dalmore in HK) and Emperador Distillers (owners of Whyte & Mackay and The Dalmore), hosted an intimate dinner at Hullett House's St George restaurant in TST. Arriving a little early at Hullet House's bar (Whisky @ Stables), I found Richard and a few others and was quickly handed a dram (King Alexander III) and invited to join in the conversation. 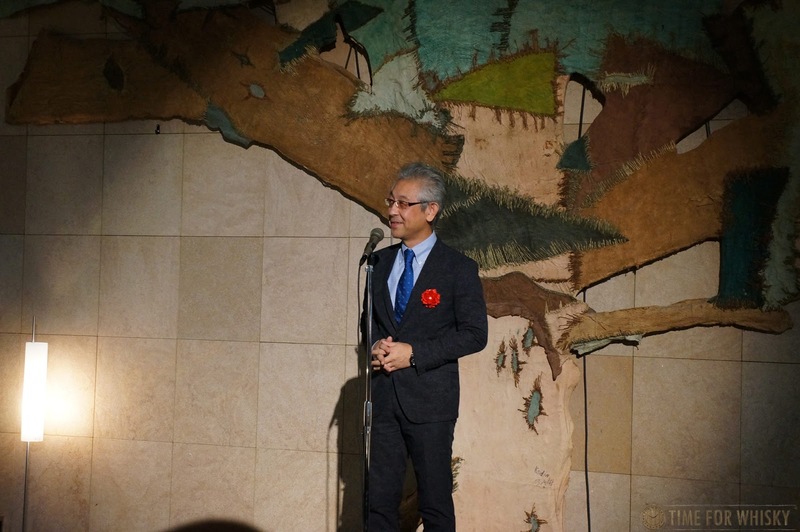 I'd seen a lot of Richard's showmanship on YouTube (exhibit A) but wondered what he was like in person, one-on-one. Turns out - a truly, genuinely delightful bloke. Friendly, welcoming, and genuinely interested in others. 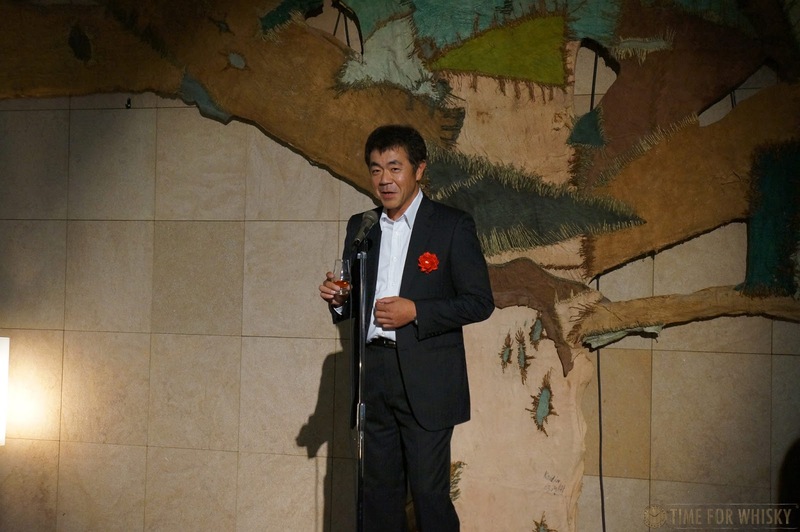 We chatted for a while (about the Hong Kong and Australian whisky scenes, small bars, Japan, whisky auctions, travel and fake whisky) before the crowd started to grow and the cocktails arrived. Not long after it was time to move over to St George for the main event - a 5 course meal paired with a selection of The Dalmore whiskies, held in the colonial-themed "JP Hennessy" room - complete with dining tables made from original timber dating back to Hullett House's colonial days. Richard opened proceedings by explaining his role as Master Distiller at The Dalmore, commenting that he's been through "10 takeovers and 19 different bosses" in those years. Richard got quickly into his trademark showmanship, talking through the history of The Dalmore (and his own family's 3 generations of whisky involvement) with the use of props, photo boards, drams and even a bottle of Gonzalez Byass Matusalem 30 year old Oloroso sherry - former casks of which significantly shape a number of The Dalmore expressions. After a run through of Richard's infamous "Hello", "How are you", "Quite well, thank you very much" approach to nosing, it was time for the first courses - Crab and Cucumber Roll and 52 Degree Salmon, matched with The Dalmore 15yo. 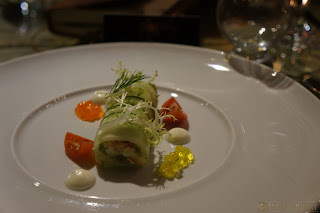 The strong flavours of the King crab in the first dish paired well with the spicy notes of the 15yo, and the 15yo added an interesting sweetness, almost sherbert-like, to the salmon. Whisky pairings can be tough to execute, but it seems like we were off to a great start. After both courses, Richard was up again to talk through The Dalmore 18, which sees 14 years in American white oak, and a further 4 years in the aforementioned Gonzalez Byass Matusalem Oloroso casks. 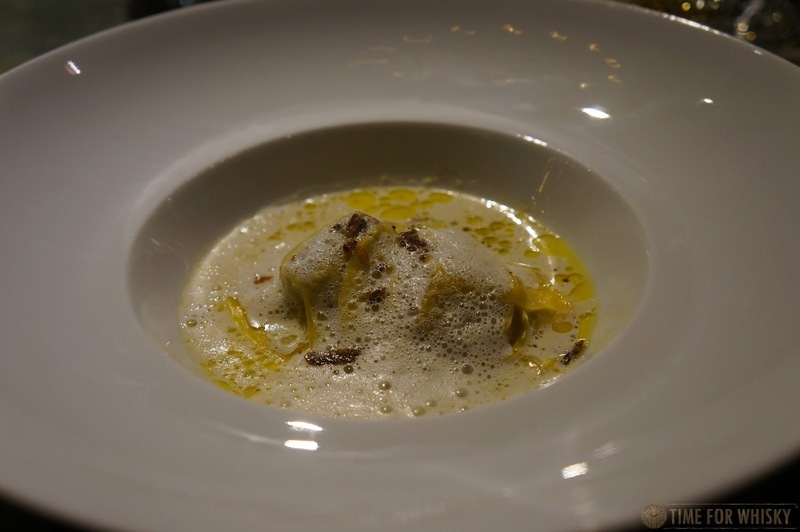 The 18 was paired with Foie Gras Ravioli, with Pancetta chips and black truffle bouillon cappuccino. Though I'm not typically a foie gras fan, this was an absolutely stunning dish, with the 18yo's coffee / mocha notes playing particularly nicely with the truffle. Sitting only one seat away from Richard afforded a great opportunity to chat, and those of us nearby made the most of it asking about his famous nose insurance (no longer in place after the premiums became too exorbitant) and the rush of new distilleries in Scotland (some of which he feels won't survive, and the remainder of which he feels will really need to differentiate themselves and ensure they can get a constant supply of casks). 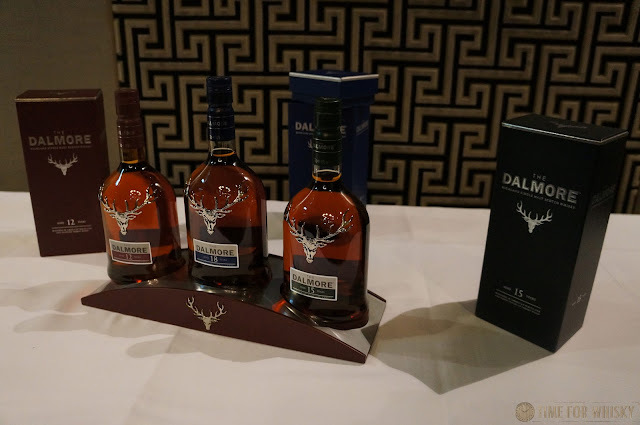 We also discussed the topic of whisky finishing and various oak types, which led us nicely onto the next whisky, The Dalmore King Alexander III. 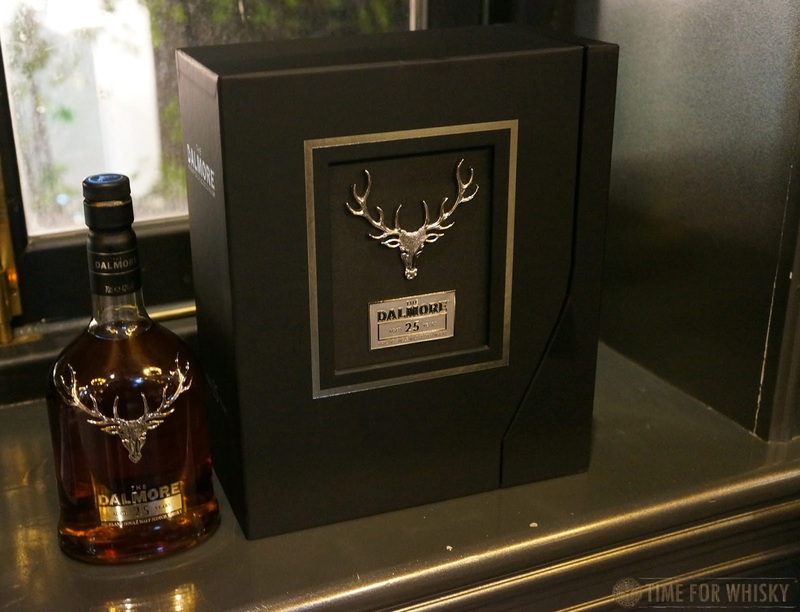 The Dalmore King Alexander III, as Richard explained, is finished in a whopping 6 different casks (Port, Madeira, Marsala, Cabernet Sauvignon, Small Batch Bourbon and Matuselm Oloroso) and is designed to give rich plummy characteristics. Despite not carrying an age statement, King Alexander III is typically 20 years old, and this particular bottle was 22-23 years old, with all component whiskies having been distilled in 1992. 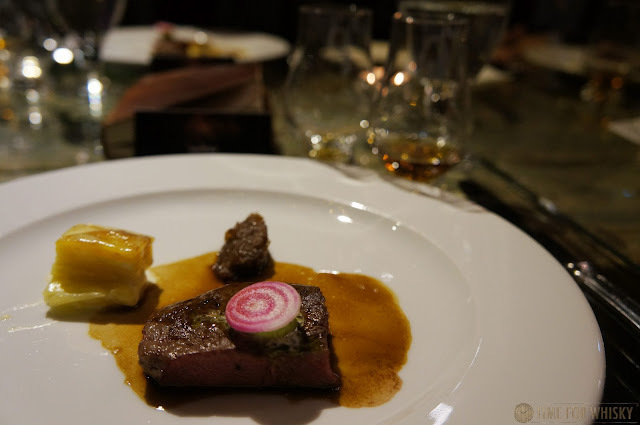 At 40% "because that's how I wanted it" (Richard's words), it's an approachable, elegant dram, which was matched with USDA Beef striploin, with potato gratin, onion confit and balsamic vinegar beef jus. 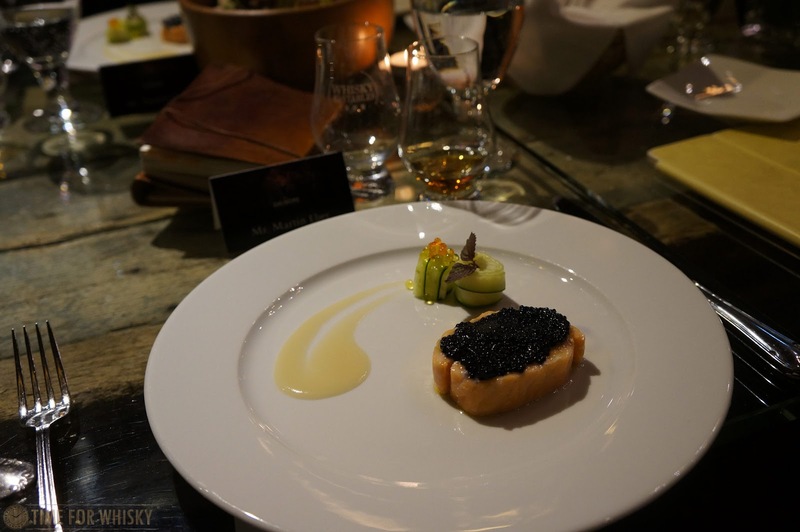 Another fantastic pairing, the King Alexander III brought out some incredible smokey maple syrup notes in the dish, with hints of citrus and some rich toffee notes towards the end. The last whisky on the menu was listed as "Richard's Surprise" and speculation was rife as to what it might have been. 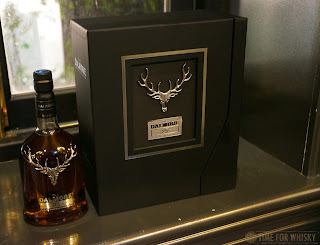 Richard eventually ended the debate and introduced it as The Dalmore 25yo, bottled at 42% ABV and in limited quantities of 3,000 bottles per year. Richard said this pairing (with Chocolate mousse, berry belly and raspberry sorbet) was particularly good, and made us promise to appreciate the pairing first. ...which we did, and wow, it was stunning. 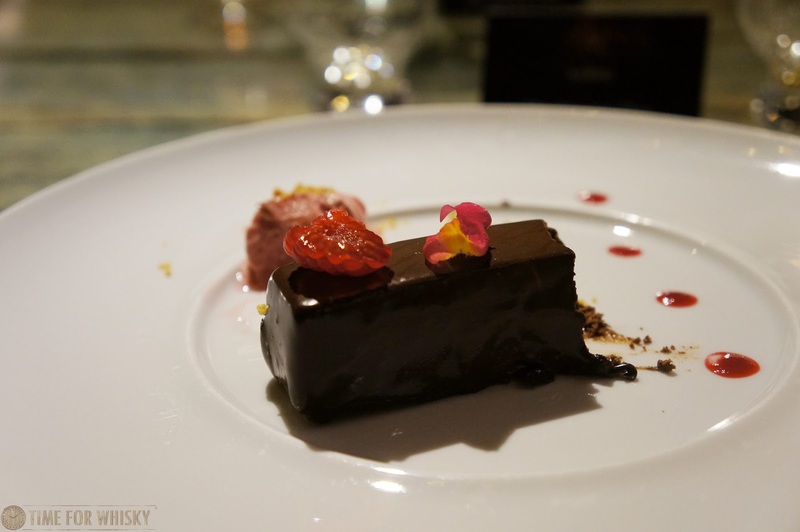 The rich cocoa and berry notes of the 25yo paired brilliantly with the same flavours in the dish, to create what was easily the pairing of the night. A fitting end, you might think, but no, Richard had one more dram up his sleeve - The Dalmore Cigar Malt Reserve, bottled at 44% ABV and containing a mixture of 70% sherry-matured whisky, 20% American white-oak matured whisky and 10% cab sauv barrique-matured whisky. It had been years since I'd tried this dram, and I enjoyed it just as much as the first time - probably more, considering I was sitting next to the man responsible for it! 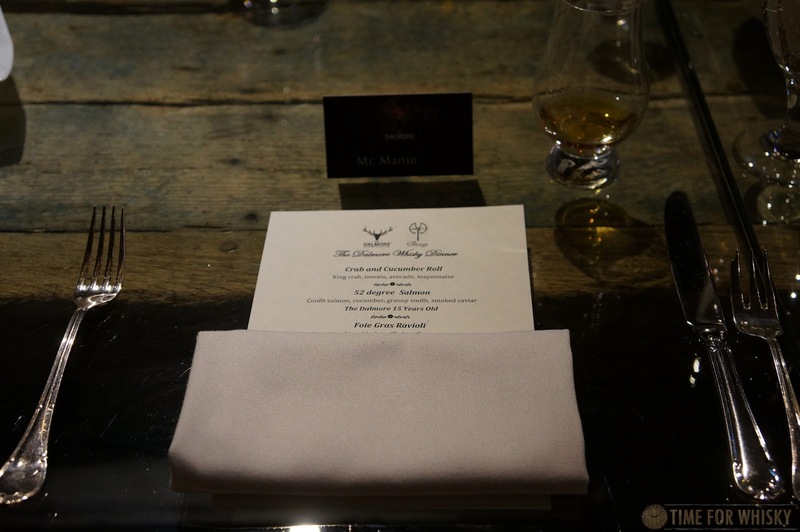 Having tried the entirety of The Dalmore's "The Principal Collection", along with some truly stunning food, it was time to bid Richard farewell and head home, a fantastic night had by all in attendance. 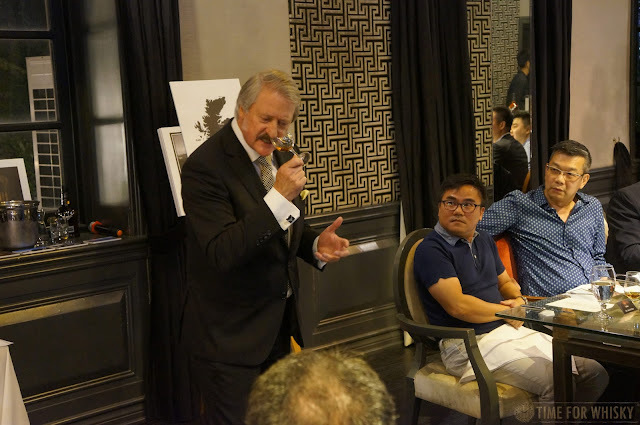 TimeforWhisky would like to thank Telford Hong Kong, Emperador Distillers, Hullett House and of course Richard Paterson for what was a truly enjoyable and memorable evening. 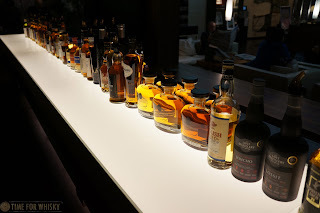 Following a recent masterclass at The Wild Rover (home to the CCWC) I took the chance to try and further my whisky passport, a great ploy by the folks at The Wild Rover to get you to try all sorts of whiskies from all over the world. 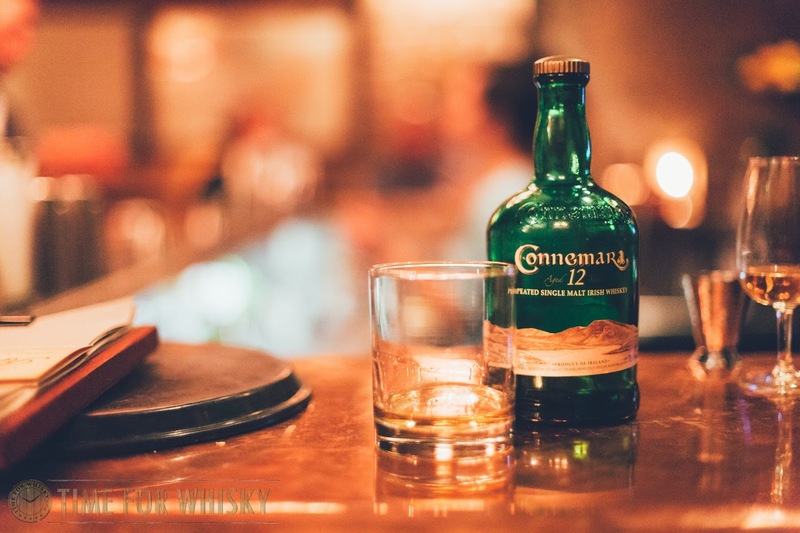 Having spoken to one of the guys from Dram Full at a recent Irish whisky masterclass, the Connemara came up in the conversation and was described as a peated Irish whiskey that certainly does not fare like a conventional Irish whiskey, nor a conventional peated whiskey. Connemara whiskies, from the Cooley distillery, it was said, have a mild, balanced peated character that subtly presents the peat along with the all the exciting notes that are inherent with the malt. 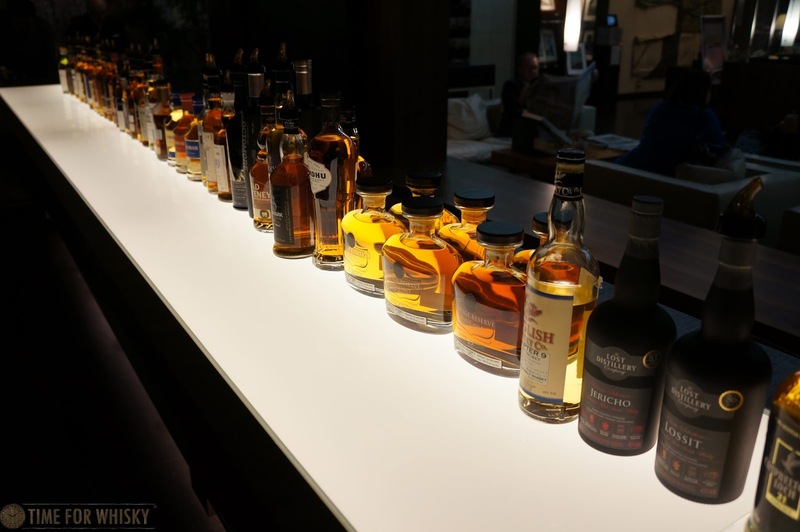 From the whisky slab, four Connemara whiskies were listed; the Connemara Single Malt, Connemara Cask Strength, Connemara 12yo and Connemara Turf Mor (the Octomore of Connemara -- the 'high peat' expression). 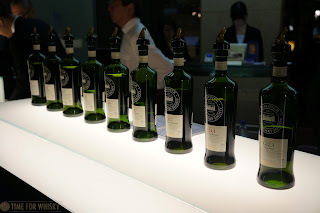 Unfortunately, only the Connemara 12yo was available that night with all the other expressions on backorder, so it was off then to try the Connemara 12yo. A great tasting peated Irish whiskey that balances the gentle smoke with creamy, citrus, tropical fruit and spice notes. Not a bad dram to have on any spring night. 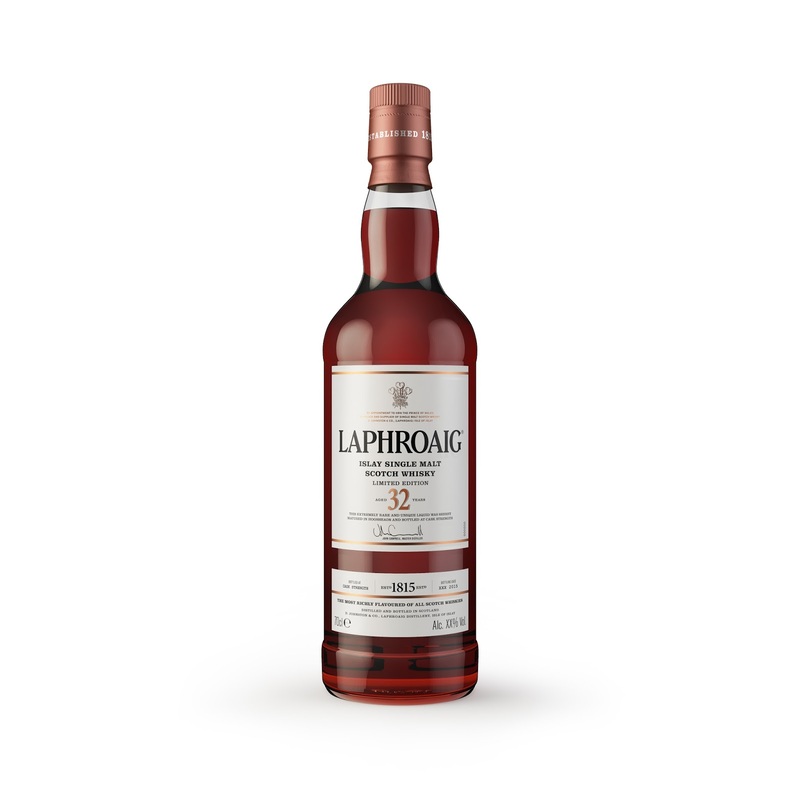 Palate: The palate is clean, creamy with a subtle strawberry note that then develops into a more punchy peppery palate and then the gentle peat finally rolls in. Finish: Medium to long, dry finish with a lingering Taiwanese pineapple cake note.